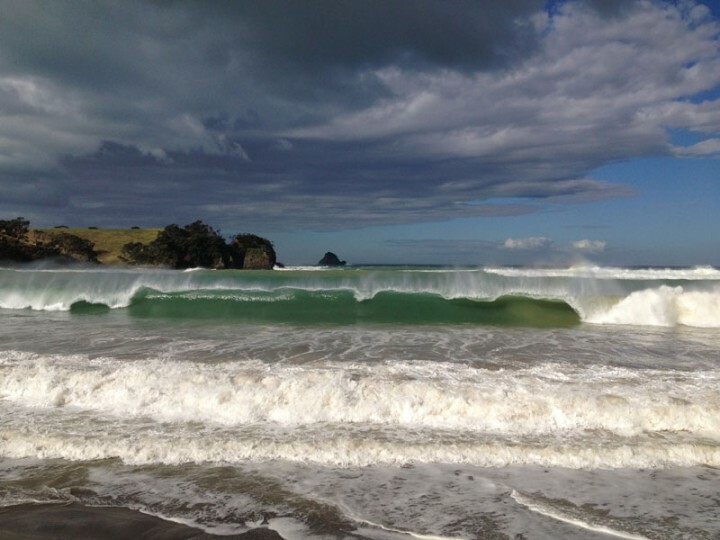 It caused devastation in Vanuatu and elsewhere in the Pacific, but by the time it got to Northland Cyclone Pam was a bit more of a fizzer than a doozy. There was a night of strong winds plus a good (welcome) drop of rain. 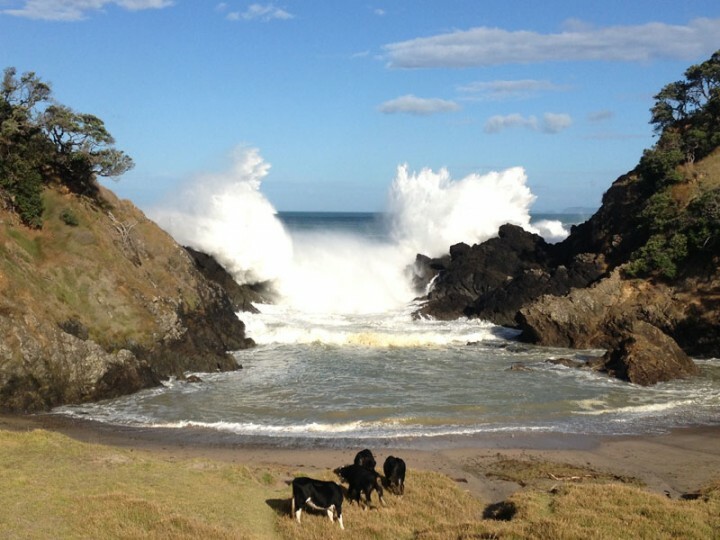 After the cyclone went through we were left with sunshine and blue skies, but also huge waves at nearby McGregor’s Bay. Just along the Taiharuru coast the waves were crashing through The Gap.